We're only here for a little while, and you've got to have some fun, right? I don't take myself seriously, and I think the ones that do, there's some sickness with people like that. 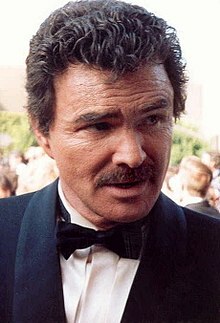 Burton Leon "Burt" Reynolds (February 11, 1936 – September 6, 2018) was an American actor, director and producer. He has starred in many roles, such as Dan August, Deliverance, The Longest Yard with its 2005 remake and Smokey and the Bandit. He also won two Golden Globe Awards, including in Evening Shade for Best Actor in a Television Series Musical or Comedy and in Boogie Nights for Best Supporting Actor – Motion Picture. We’re only here for a little while, and you’ve got to have some fun, right? I don’t take myself seriously, and I think the ones that do, there’s some sickness with people like that. That’s why I live in Florida. "Burt Reynolds Has Made Mistakes. But He Regrets Nothing." in The New York Times (23 March 2018). Chosen as the Quote of the Day for 6 September 2018. I don’t know why I think this, but maybe I’ve got my best work ahead. Maybe I’ll be putting my teeth in the glass, and maybe it will be a very different kind of role, but I want to do something where I’m not driving a car or a truck, where it’s real. Something that people wouldn’t expect me to do. Probably a man in search of himself. But we’re always searching for ourselves anyway. This page was last edited on 9 March 2019, at 23:33.